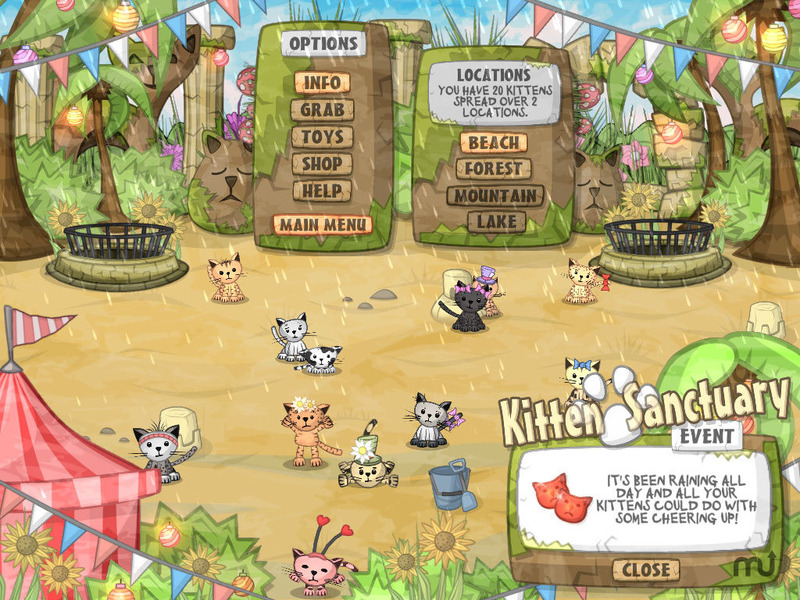 Protect an island of kittens from invading Aliens in this exciting puzzle game. Is there a better alternative to Kitten Sanctuary? Is Kitten Sanctuary really the best app in Puzzle category? Will Kitten Sanctuary work good on macOS 10.13.4? Kitten Sanctuary ... The once peaceful Kitten Island is being invaded by creatures from another world! These pesky aliens have set up traps loaded with tempting kitten goodies. Free trapped kittens and keep them safe in your kitten sanctuaries. Use the goodies you acquire from the traps to keep your rescued kittens happy or they may just wander off and get captured again! Version 1.0.3: Release notes were unavailable when this listing was updated. Kitten Sanctuary needs a review. Be the first to review this app and get the discussion started! Kitten Sanctuary needs a rating. Be the first to rate this app and get the discussion started! Your kittens will love the food, drink and warmth you provide for them, but if supplies are running low you can always use the kitten toys you purchase to give their spirits a boost! Download the free Kitten Sanctuary trial and rescue your first kitten today. 50 cute kittens, each with their own story. 100 levels with three game modes variations. Nine fun toys to help keep your kittens happy. Buy your kittens extra gifts and decorations. Four unique sanctuary locations to customize.